Maurer, Daniel “Tommy Ramone, Joan Rivers and 80+ Others Come Back For One Last Party” New York Magazine’s Bedford + Bowery (Dec 2014). 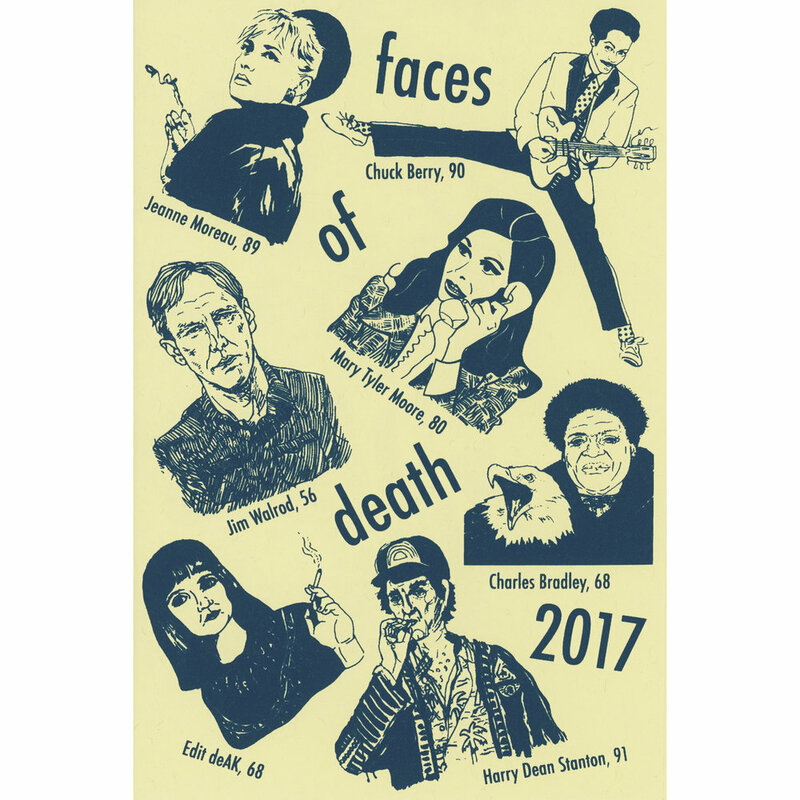 Faces of Death 2018 collaborative artist T-Shirt printed by Kayrock Screenprinting, edition of 120. All of the incredible artists this year, including Kate Nielsen & Jocelyn Jones for their winning title tributes to Aretha Franklin & Stan Lee! FOD teammate Maya Hayuk & GROWROOM // SHOWROOM for hosting the release party again this year! And gang at Kayrock Screenprinting for bringing my insanely challenging Tetris arrangement of artwork to comfortable T-shirt-y life! If you pre-ordered this year’s Print Edition T, come out to pick up your shirt (and team patches if you’re new this year), a few extras will be available at the party if you missed out. If any remain, they will be added here to the site post-event. Mail orders will be fulfilled early the following week. Friends and family welcomed to attend- feel free to pass along. 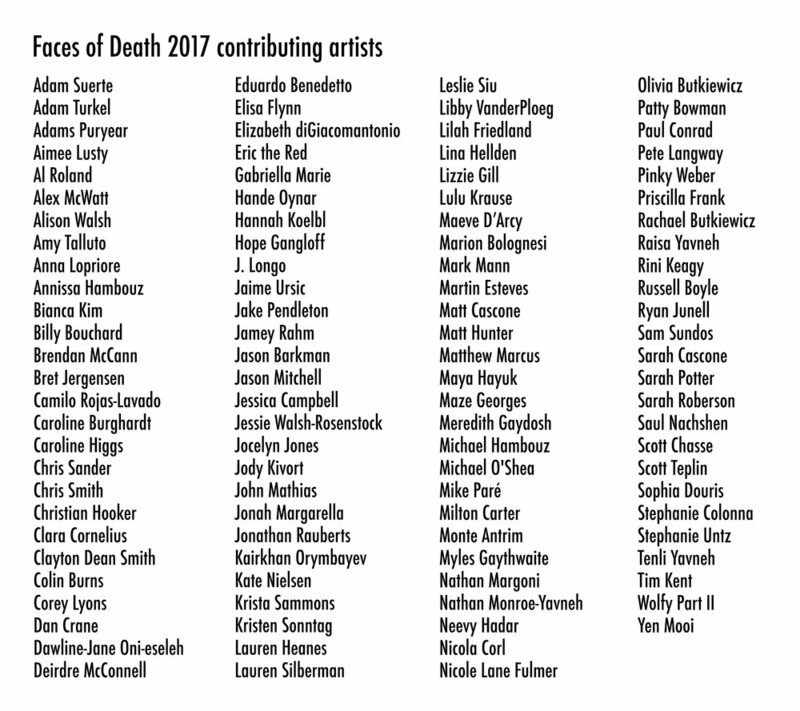 In honor of F.O.D.’s 20th anniversary, FOD has partnered with Du-Good Press to publish this year’s hand-silkscreened commemorative zine.